Iridology is the science and practice of studying the iris (colored part) of the eye. Iridology cannot diagnose specific diseases but can help the practitioner evaluate what is happening with in the body. Within the iris there are hundreds of nerve filaments which receive messages from the organs within the human body. This is done through connections with in the optic nerves, optic thalami and spinal cord. There are also microscopic muscle fibers and tiny blood vessels within the eye. The nerve filaments, muscle fibers and blood vessels duplicate tissue changes simultaneously with associated organs in the body. Therefore examining markings, color and tissue changes, the iridologist can evaluate various changes within the body. The practitioner will look at your eye using a magnifying glass. During the examination questions will be put forward to the patient. 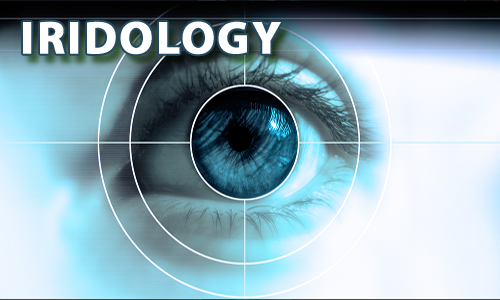 The goal of iridology is not to diagnose but to support and expand the information received from the consultation. Iridology can recognize some health problems at early stages and can help the practitioner suggest ways to keep disease from developing. This tool is usually used in conjunction with a complementary health care appointment.